This is a post on our Facebook page, Margaret became an organ donor and is giving the gift of life! Chelsey Larson, the newest member of our team, welcome! In early January our new roommate Ellen moved in. It wasn’t long before we found out that our new roommate was a very busy college student. Just how busy she was, most people can’t quite fathom. Donor to Donor is pleased to announce a new member of our team, Tom Naylor. 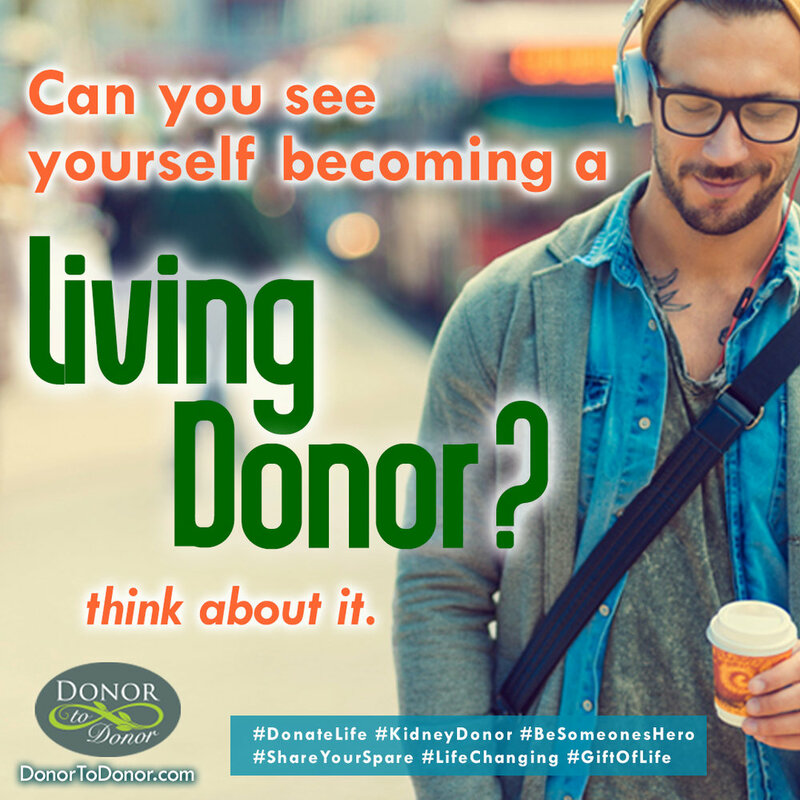 Tom donated his kidney to a stranger at Mount Sinai in 2011, and he is very excited to be able to help increase the reach of Donor to Donor by working with both patients and potential donors. In June 2015, I listened to a Freakonomics Radio podcast describing Alvin Roth’s Nobel Prize-winning work in allocating scarce resources, such as kidneys. It planted a seed; I’ve donated more than 80 pints of blood and had my gallbladder removed without any adverse consequences, so I’m used to giving up regenerating or unnecessary parts of my body. The seed didn’t germinate, however, until February 2016. That’s when I heard the follow-up podcast where Ned Brooks described how the initial podcast had inspired him to become an altruistic donor. The lightbulb clicked on: if he can give a kidney, so can I. I reached out to Ned. He patiently answered my questions and encouraged me to proceed. Suzanne only 3 days after surgery!